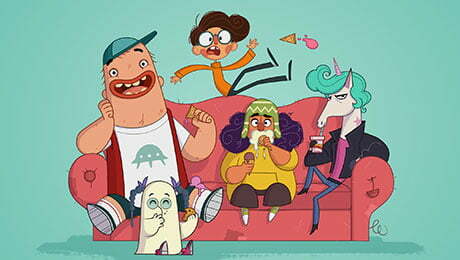 Nickelodeon has picked up the international rights to a forthcoming animated comedy series from Canadian kids’ producer and distributor DHX Media. Dorg Van Dango is being coproduced by DHX and Cartoon Saloon in Ireland for Canada’s Family Channel and Irish pubcaster RTÉ. Nickelodeon has picked up the international rights to the series and will roll it out in more than 170 territories, including the UK, Australia, Latin America, France, Italy and Spain, when it delivers in 2020. The 52×11’ series targets kids aged six to 11 and follows the adventures of a normal child in a normal town whose life is transformed when he meets an extraordinary group of friends called The Magicals. Production on the series is underway at DHX Media’s Vancouver studio, based on an original idea by Fabian Erlinghäuser (Song of the Sea, Moone Boy) and Nora Twomey (The Breadwinner, The Secret of Kells).